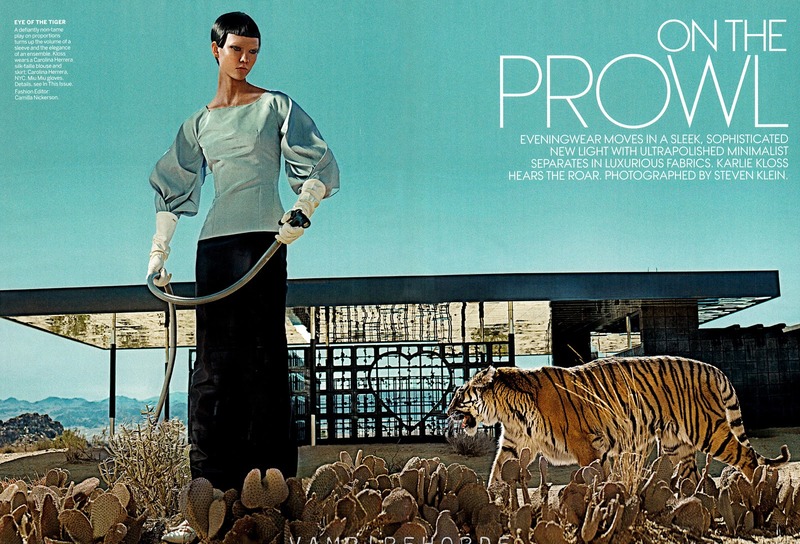 Top model Karlie Kloss undergoes a model metamorphosis as she goes head to head with a tiger for the March 2013 issue of American Vogue. 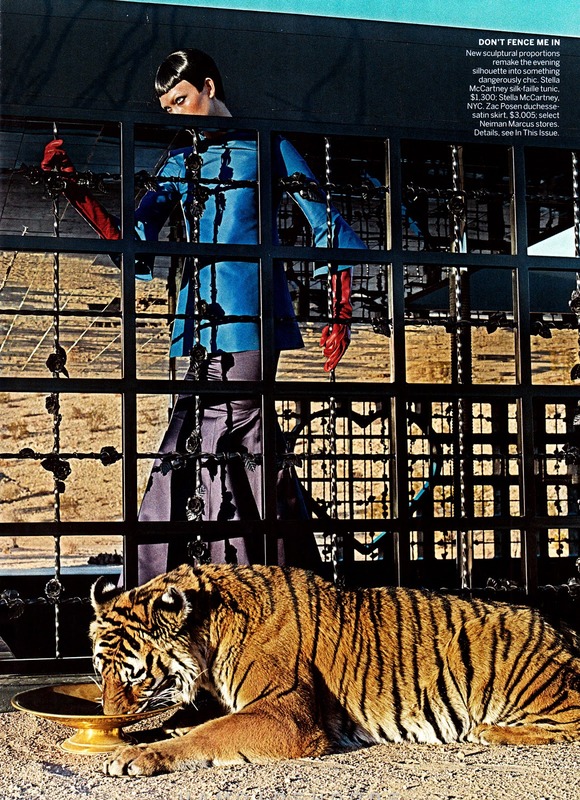 Photographer Steven Klein captures the chameleon sporting a a closely cropped helmut bob as she plays ring master to the regal beast. Following a series of editorials for the French Numéro, Muse and Spanish Vogue displaying a decidedly grown up sexier side, Kloss returns to the elegant model as muse role that established her as one of the leading models of her generation. 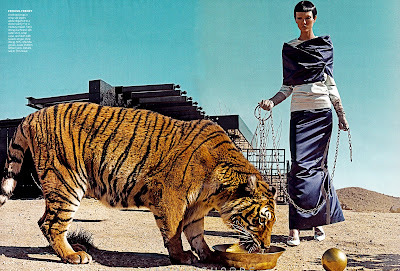 Fashion editor Camila Nickerson decks Kloss out in sculptural ensembles from the Spring/Summer 2013 collections of Carolina Herrera, Maison Martin Margiela, Stella McCartney, Vera Wang and Tom Ford as she plays ball and chain with kitty cat. 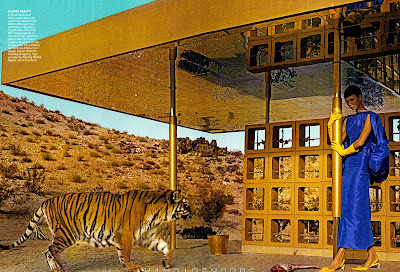 With a barren rocky desert outcrop and blue sky horizon as a backdrop, Kloss and her furry friend look supremely elegant as they tame the beast within.